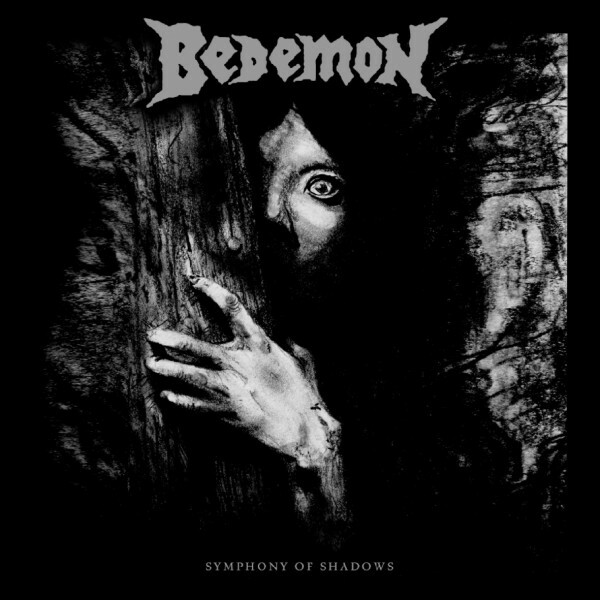 Occult Rock Magazine: BEDEMON TO RELEASE "SYMPHONY OF SHADOWS"
BEDEMON TO RELEASE "SYMPHONY OF SHADOWS"
Svart Records has set an August 24 release date for "Symphony Of Shadows", the first-ever set of all-new material by BEDEMON, the band regarded by many as the original true U.S. doom band. Inspired by the goriest of fright films and the most menacing of music at the time, guitarist/composer/journalist/author Randy Palmer churned out the very first doom songs written on North American soil. This understated innovator recruited the help of his bandmates, PENTAGRAM co-founders Geof O'Keefe (drums) and Bobby Liebling (vocals) as well as schoolmate Mike Matthews (bass). Throughout the 1970s, the band recorded numerous sinister, doom-drenched slabs of metallic gold — BLACK SABBATH were Palmer's idols — that illegally floated around on sub-standard bootlegs for decades. Finally, in 2004 to much fanfare, these rough, never-intended-for-public recordings were collected, repaired, and released as "Child Of Darkness: From The Original Master Tapes". Since then, BEDEMON has seen a surge in popularity due to their intertwined history with the original PENTAGRAM, in addition to their music being featured in the critically acclaimed award-winning documentary, "Last Days Here" (Sundance Selects/914 Pictures), chronicling the life and times of PENTAGRAM and original BEDEMON vocalist Bobby Liebling. Literally a decade in the making, BEDEMON now proudly issues their sophomore release, "Symphony Of Shadows". Shortly after completing recording of the basic rhythm tracks in April 2002, band founder Randy Palmer was involved in a tragic car accident and passed away in August of that year. O'Keefe, Matthews, and new vocalist Craig Junghandel worked with recording engineer Shawn Hafley over the next decade to finish the project both in tribute to Randy and also because they felt so passionately about the strength of the material; the result is nine bone-crushingly heavy slices of pure '70s-flavored doom metal. Clocking in at just under 60 minutes, "Symphony Of Shadows" will be released as both a single CD and deluxe 2-LP vinyl set, chock-full of photos, lyrics, liner notes, and intimate stories from the surviving members of this very special band. Svart Records president Tomi Pulkki heard the album and knew it was perfect for Svart, saying, "As a label that is perhaps best known for releasing PENTAGRAM and REVEREND BIZARRE on vinyl, I didn't think twice when the chance to work with BEDEMON was offered. We're happy to help bring their final opus to the world."